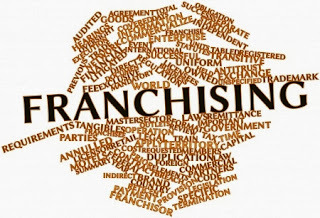 1.The Franchise Takes Care of Many Expenses: Marketing in a franchise is not up to you. Franchisors like to retain as much control over marketing campaigns as they can, so they keep many activities back at the home offices. This is often a fantastic deal: You don't have to pay for marketing consultants, graphic designers, artists, content creators, or any other regular expenses. You simply use the provided materials. This saves lots of time and money – and eases plenty of worries if you do not have much earlier marketing experience. 2. Advertising Fees Apply: Franchisors do not cover all their marketing work for free. If you study your contract, you will find some kind of advertising fee. Like a royalty, it is typically a certain percentage of your revenues that will go immediately into a general advertising fund. Some of the money may help your particular business, and some may lead to conventional marketing efforts on the part of the franchisor. Expect these fees – typically a few percentage points of your profits – and make room for them in your budgeting. 3. You Will Be Trained and Supplied: You do not have to face competitors without training. All reasonable franchise programs provide training in marketing efforts along with all the supplies you need. This training will teach you key aspects of the process, such where and when to use promotional materials, how to take part in company-wide events, and how to arrange for all campaigns appropriately. 4. Designs and Appearances Will Be Controlled: If you have lots of exciting ideas about how to market your new franchise and enhance your brand image, hold on. Franchisors carefully control many aspects of the business, especially those related to brand decisions. The brand is formed at corporate headquarters, and contracts usually prevent you from making any changes to the company designs and appearance – messages, colors, logos, mascots, and all similar components must remain unchanged. 5. Promotions and Discounts are Also Controlled: Your lack of innovation should also extend to your events and promotions. The franchisor does not want you to create any of these promotions and discounts yourself. Not only can they cut into profits unexpectedly, but you might also misrepresent the company in some way. Of course, every franchise is different, and some may allow you much more leeway, but expect at least some control over promotions and discounts – total control, when it comes to the big brands. 6. Franchises Market to You, Too: While you consider your own marketing options, remember that franchises will market to you as a buyer, too. The ways that they market their businesses will give you valuable clues about how they fundamentally approach advertising. This also calls for a grain of salt – the claims and promises that franchises make to buyers may be inflated if their advertising policies are a little loose. Stick with franchises who mean what exactly they say for the best marketing relationship. Andrew Ewing, a blogger by profession, writes for a leading franchise directory, FranchiseExpo.com.